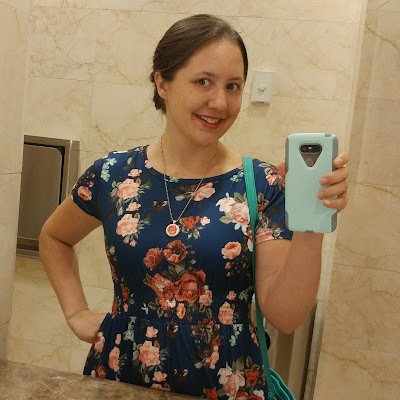 So, remember how last summer I was working on a series of blog posts about my revision process? I got two posts into that three-part series and then got busy, and... um... never finished. Oops. Once I've mapped out my story and written my edit letter, I break my revision down into manageable chunks. The way I break a manuscript down really varies from revision to revision. Typically, I start with the big things first—the "plot changes" or "big changes" from my self-made edit letter. I prefer not to start with smaller details, because sometimes the bigger changes might alter things enough that my original list of smaller changes is no longer accurate. For others, I take one big change at a time and go through the whole manuscript working for places to implement it. This is how I revised Where the Watermelons Grow—I'd read it fairly recently and had a fairly clear idea of where I needed to make specific changes. I often do a lot of back-and-forth-ing as I work on these big revision passes; a new scene here means altering an older scene to be consistent, etc. Once I've worked my way through my whole list of big changes, I turn to the smaller ones. (Sometimes—when I have a LOT on my revision to-do, which is not uncommon—my lists are split into "big," "medium," and "small," and I go in that order, from big to small.) Often, these are changes I can implement using tools like the "find" feature in my word processor—searching for specific keywords, overused phrases, or scenes I know I need to change but can't remember what chapter they occur in. For instance, if I've decided to get rid of the references to a specific school, I can search for every time I use the name of that school and then rework the paragraphs around that mention. This part of revising is by far the least set-in-stone, most intuitive portion. Often, I base the way I'm doing it on what feels most organic or least intimidating to me. For me, starting a revision inevitably feels like standing on the high dive, afraid to make the leap off; I try to begin with whatever makes that leap the least scary, or whatever I have the clearest vision for. I typically don't work down my to-do list in order, either—I address points on the list in the way that feels the most natural. Often, different points on my list are related to one another, and I'll work on all of them in tandem before moving on to less-related issues. For especially big revisions, I might end up reading through the manuscript beginning-to-end twice. With my second book (out in 2020), I read through on the computer as I made my big changes, and then printed the manuscript and read through the hard copy after I'd finished, so that I could have a better grasp for the rhythm of the language and find smaller line edits that needed attention. When I'm working on a revision, it always, ALWAYS feels like my book is turning into Frankenstein's monster, an unintelligible mishmash of old and new writing that feels completely doomed to being terrible. No matter how incoherent it feels when I'm working on it, though, I always find that the manuscript is much, much stronger when I'm done! So, remember how I said results would definitely be posted by 9pm PST tonight? Well, I looked at the calendar while scheduling that and thought, "hmm, we have parent-teacher conference that night AND that's laundry-folding night... Hopefully I won't be too busy!" Reader, I was VERY busy. If you've followed our contest long, you'll know that Mahon has only won a handful of times in our 12 years of doing this. In fact, a couple of years ago he was feeling so dejected about it that there was real talk about ending the contest for good. But I think he's feeling pretty good about things right now, since he is, in fact, the carver of Pumpkin B, making this his second victory in a row after last year's masterful Te Ka pumpkin. And I can't fault him for the win—this curcubit creation is pretty incredible, and probably one of me favorite pumpkins ever to emerge from the contest. It's pretty cool, seeing my Della reading in her playhouse! Congrats to this year's winter, and thanks so much for voting! We'll see y'all next year. Cast Your Vote in the Twelfth Annual Pumpkin—Um, Curcubit—Carving Contest! It's everyone's favorite time of year—you know, when we're all spending our time poring over candidates, trying to figure out which option best typifies our values, and heading to the polls. That's right: It's pumpkin carving contest time! For the first time ever, this year's pumpkins ended up getting rescheduled until after Halloween, thanks to a combo of complicating factors. But better late than never, and here we are, with this year's candidates! This year's theme is one we've had in mind for more than a year. In honor of Where the Watermelons Grow being released this summer, our pumpkin carvings are everything Della Kelly (and friends). This time, in honor of our theme, we even have an extra-special addition to one carver's entry. We actually REALLY tried to find full-sized watermelons for us both to carve, but alas: there are no regular watermelons to be had for love or money in November, so pumpkins it (mostly) is. 1. Just ONE vote per person... no cheating! If you don't have a Google or OpenID account and so you're voting anonymously, make sure to sign your vote. Unsigned anonymous votes may be deleted. You can also cast a vote on Instagram or Facebook, as long as you keep it to the official pumpkin carving contest thread on those platforms (it gets too hard chasing votes across multiple threads). Central to Della's story in Where the Watermelons Grow is the famous Quigley honey, responsible for mending the wounds and woes of Maryville for generations. Whether it's healing a baby with pneumonia, fixing a broken heart, or mending a family feud, the Quigley honey has the ability to bring out strengths inside you that you never realized were there. In their pumpkin, Carver A has used careful shading and exquisite detail to evoke the mystical, magical nature of the Quigley honey threaded throughout the book—reminding the viewer that magic is always so much closer than you think. We’d built it last summer, right by where the curve of Hummingbird Bay met the edge of the Hawthorne farm, and both our daddies hated it because we’d made it ourselves out of old plywood we scavenged from the supplies my daddy used to build our chicken coop last year. Before that we’d spent years playing in an old tobacco shed, but the playhouse was better, because it was made with our own hands. In a true stroke of genius, Carver B has chosen to incorporate an actual mini watermelon into their design. This carver has used the watermelon to depict Della's beloved playhouse, where Della sits, lost in a book—quite possibly the very Emily Dickinson poems that teach her how to hope when she feels all hope is lost. The watermelon is set into a pumpkin, into which a window is carved with curling watermelon vines below and swaying tree branches above. Of special note is the color contrast provided by the interior of the watermelon against the pumpkin—definitely an effect we've never seen before! Voting will close by 9pm PST on 11/7. You can destress from the actual election by watching these results roll in just one day later. Postscript: You can't vote for this one (any attempts to vote for it will be rejected! ), but we figured we'd share, anyway! Kate's design this year is a "cheetah underneath a rainbow." For many years, I've shared a post about the importance of staying home when you're sick as soon as the first autumn colds start to circulate. As a cystic fibrosis patient, my immune system is compromised, and I have a tendency to pick up any viruses within a hundred-mile radius—at least, that's what it often feels like! Not only am I more likely to get colds and other illnesses in the first place, but those illnesses are nearly always much, much worse for me than for a regular person. What may be a case of the sniffles for you typically turns into a lung infection for me, nearly always requiring antibiotics and frequently requiring a hospitalization or course of home IV antibiotic therapy. And don't even get me started on more serious viruses, like influenza, which can be a literal death sentence for CF patients. In 2007, while I was engaged, I caught the flu; I was almost immediately hospitalized, and ended up going into the hospital something like 7 times over the next 18 months. It took me at least that long, if not longer, to feel like I was back on my feet health-wise. Every winter, I personally know far too many people with CF who die—and quite often, the infection that leads to their decline is caused by a cold, influenza, or other virus. And death is only the most dramatic result. Every winter, I also see far too many friends spending months in the hospital, enduring cycle after cycle of body-destroying extra-strength antibiotics, and, like me, finding themselves unable to engage with life at all because their strength is so totally zapped by dealing with persistent infections. CF patients aren't the only population at risk, either. Cancer patients, transplant recipients, and medically fragile children and adults all can have life-threatening reactions to a virus that, for you, manifests as an annoying case of sniffles. Every year when I blog about this, I get push back in two primary ways: from people with kids who are sick all the time, and from people who don't have the option of taking sick leave from work. I get that, I really do. I've been that parent before - there have been times where Kate was sick over and over for months in a row. And I understand, also, that there are lots of jobs where a worker is penalized or let go for missing work, regardless of the excuse. In light of those issues, here are some things that you can do to mitigate the effect of your illnesses. 1. If you can stay home, do so. Postpone the shopping trip. Get takeout instead of eating at a restaurant. Stay home from church—truly. Church is one of the big danger zones for me, because people have a tendency to come regardless of how they feel. Really truly, you can nearly always find someone to fill in if you have something to do, and those of us with compromised immune systems will thank you. If you really cannot get out of a responsibility and must go sick, see #2 and #3. 2. Be honest. If you're going to a gathering where you know that someone with a compromised immune system (or a baby) will be, let them know how you're feeling. Describe your symptoms and let them tell you what they feel comfortable with. Work out a plan you both feel okay with. 3. Wear a cheap mask. You can get inexpensive disposable surgical masks at any drug store. 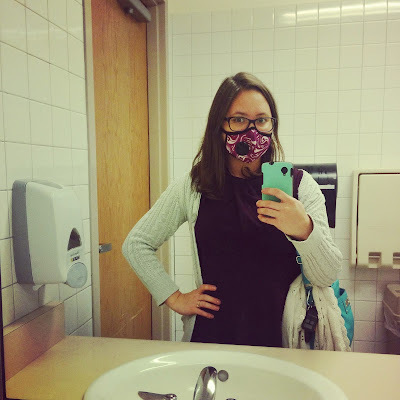 Did you know that wearing a standard paper mask won't actually protect the wearer from viruses? That's why I don't wear one when I'm out during cold and flu season (I actually buy pricey fitted masks to help me stay safe in the winter, but that's not an option everyone has). However, what those paper masks do very well is protecting the people around you from your germs while you're wearing it. If you have to go out while you're still symptomatic, consider wearing one. Also, use hand sanitizer, wash hands frequently, try not to sit close to anyone else, and make sure to cover a cough. 4. Learn to tell the difference between allergies and a cold. If you or your kid has a stuffy or runny nose that isn't going away after several weeks but has never been accompanied by a fever, body aches, or a cough, it's probably allergies... But if that runny nose just started, give it at least a few days before deciding it isn't a cold. Contrary to popular wisdom, a clear runny nose is no safer than a green one, and it actually usually comes at the point when a cold is most contagious (ie the beginning). Remember how Smoky the Bear said "only you can prevent forest fires"? The same might be said in this case: only you have the power to help make public spaces a safe place for those of us with compromised immune systems to be! It's eleven at night, and tears took me while I was brushing my teeth. I don't know why it was that moment that it suddenly hit me, the realization sinking deep into my bones, tingling on my skin—but right then, I felt overwhelmed with the magnitude of what tomorrow means for me. Tomorrow is my birthday—my thirtieth birthday. Seventeen years ago, I first read the phrase "average life expectancy" connected with cystic fibrosis. At the time, the life expectancy was 34. It was an enormous thing to grapple with as a new teenager; my thirties seemed so old, so far away, and yet the idea of not living past them felt claustrophobic and, at times, crippling. And yet here I am, on the cusp of this new decade, only a little bit worse for the wear—ready to tackle many, many more years to come. When I was six months old, my parents were told that I wouldn't live to turn twenty. Sometimes, the last decade of my life feels almost decadent, like a truffle center, unexpected and delicious. And here I am, half again as old as that original prognosis. I try not to think often about CF and life expectancy. I have enormous anxiety about the future, and compensate by largely pretending it doesn't exist more than two or three months out. But on birthdays, the full weight of that reality hits me a little differently—not as clutching, clawing anxiety for what I might someday lose, but as soul-deep, heart-pausing gratitude for what I've had. I don't know what the future will bring. My disease is still unpredictable, still progressive, still incurable. And yet, on this birthday eve, feeling the gratitude for that extra decade warm in my throat, I feel ready to face the future—thirty, thirty-four, and beyond. The two of us hamming it up at Cindy's Portland book launch! Welcome to the wish list for #TeamMascaraTracks! (That’s Amanda Rawson Hill and Cindy Baldwin.) Sit down and draw up a chair. We've got chocolate, lots of episodes of The Good Place, and—of course—a bookshelf chock full of crying books. 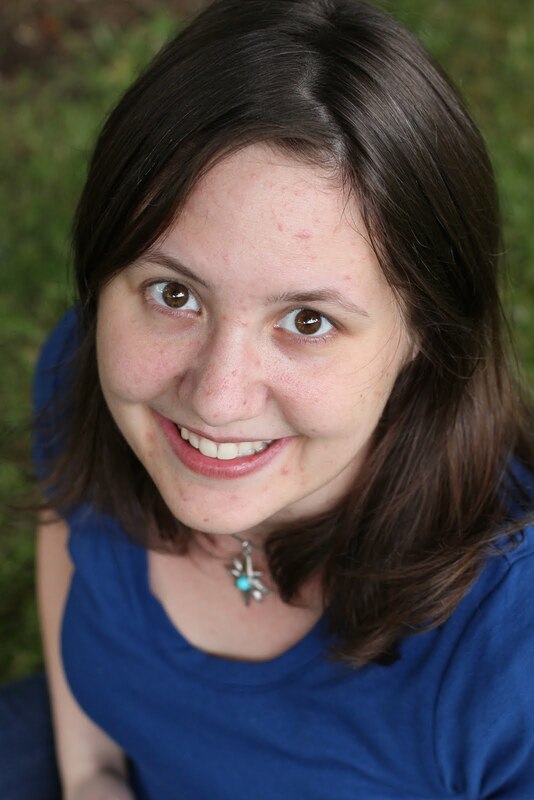 Amanda Rawson Hill: I grew up in Southwest Wyoming with a library right out my back gate. I was one of those “gifted” kids. Smart, overachiever, played a couple instruments, speech and debate. You know the type. I never dreamed of being a writer until after I had kids! I got my degree in Chemistry and now live in Central California with my husband and three kids. My debut middle grade novel, The Three Rules of Everyday Magic, will be published at the end of September by Boyds Mills Press. WHICH IS SO CLOSE!!! Cindy Baldwin: As a kid, my favorite things to do were either explore the woods behind my North Carolina home, dreaming of fairies and hidden castles, or curl up with a book to read stories that filled my imagination with wonder and magic. In middle school, I kept a book under my bathroom sink to read over and over while fixing my hair or brushing my teeth, and I dream of writing the kind of books readers can’t bear to be without! These days, I live in Portland, Oregon with my husband and daughter, surrounded by tall trees and wild blackberries. My debut middle grade novel, Where The Watermelons Grow, was published by HarperCollins in July. In addition to receiving starred reviews from SLJ, Publishers Weekly, Booklist, and Shelf Awareness, it was also an Indies Introduce and Indie Next title for 2018. In 2016, we mentored Kit Rosewater and Cory Leonardo. Kit's entry had the most request of any middle grade manuscript in the contest. Both had agent offers right off the bat, and both are doing awesome things! You can check out Cory's Pitch Wars novel, The Simple Art of Flying, in just a few months—it releases in February from S&S/Aladdin in the US and Scholastic in the UK. In 2017, we went really overboard and mentored THREE writers: author/illustrator Remy Lai, Karen S. Chow, and Kirk Kraft. Remy's fantastic graphic-prose hybrid novel, Pie in the Sky, sold immediately in a pre-empt to Macmillan/Henry Holt, and will be out in the spring. Karen's heartbreakingly beautiful story about moving on after loss found a passionate agent advocate as well. And Kirk worked incredibly hard to revise his humor-and-heart-filled manuscript while also being one of the most positive and encouraging people on the PW feed. While we can't promise requests, agents, or book deals, we can promise care, attention, and endless cheerleading. Over the past two years, we've walked mentees through not only revisions and the Pitch Wars agent round, but also deciding between multiple agent offers, navigating an agent breakup, dealing with a querying journey that went beyond the contest, handling nerves on submission, and many other ups and downs that come with a professional writing career. As mentors, we believe strongly in sticking around long after the agent round is over. We've forged good friendships with all our past mentees, and still keep in touch with each of them regularly. "I had never received such detailed notes on even a page of any manuscript I’d written, and here I’d received a comment on all of it. Comps. Concerns. Structure. Plot. Pacing. Characterization. Theme. Big picture. Small picture. Resources. Everything. I was astounded that they took the time and had thought about my book so deeply and thoroughly….Every. Single. Thing Amanda and Cindy said, every one, was right on. Over the next few months, I grew to trust their instincts more and more. They were always right, and every time I took a little while for their comments to sink in, I’d come to the same conclusion, make the necessary changes, and every time the book was better." "Amanda and Cindy have the unique ability in plucking key emotions, interactions, and symbols from a text, and carrying those gently forward while rearranging all the trappings around them. Though nearly every word of my manuscript was switched around and deleted and rewritten by the time the agent round arrived, it felt more like my vision than ever. Cindy and Amanda knew what I was after in my writing, and helped me to maintain the things I found most important, even through completely fresh drafts. This is a vital skill to have in the process of revising, and one I shall carry with me forever." "Amanda and Cindy are the best!" "When I chose Amanda and Cindy as potential Pitch Wars mentors, I had no idea what a huge impact they would have on my writing journey. No idea! Besides helping polish my query and manuscript, they helped me craft pitches for #pitmad and #dvpit (from which I found my agent). They were cheerleaders when I had partial and full requests, encouragers when I doubted my craft, rock-strong supporters when many other mentees found agents and book deals quickly. They understand everything, all of the emotional ups and downs, all of the ins and outs of writing. They’ve answered countless questions (and questions from other mentees) about agents and the publishing biz. (And if they don’t know, they find answers.) They do it all with humility and grace. I was so SO honored to meet both of them in person, and they are as authentic as they are over email. When they say they’re stuck with you for Pitch Wars and beyond, they mean it. And I’m forever grateful to have them in my life." "My mentors put me through the wringer but the knowledge I gained and the depth of revision I was forced to complete made me a better writer." If that sounds like what you are looking for in a mentor, then let’s go on to what you really want to know! Our favorite genres are MG contemporary, Magical Realism (both true magical realism—which comes from traditionally marginalized communities and is aware of the Latinx traditions from which it draws—and literary contemporary with elements of magic), and 20th-century historical. Within those genres we are particularly looking for stories usually labeled, quiet, character driven, heartfelt, and literary. The comedic and quirky is not really in our wheelhouse. That’s not to say that we don’t want a book that has quirky or comedic elements (we love those! ), but that shouldn’t feel like the main focus or strength of the story. We want FLORA AND ULYSSES, not DIARY OF A WIMPY KID. We are particularly looking for stories the revolve around big, hard, real-world problems. If somebody has ever said, “Wow, isn’t that a little heavy for MG?”—we want it. If somebody has ever said, “This is really sad! "—we want it. We want to feel something. We want to bawl our eyes out. We want to see beautiful, powerful prose or poetry. We want books that exemplify the quote “When a subject is too hard for adults, I write it for children.” We want books that tackle tough subjects in a hopeful and life-affirming way. We want big philosophical ideas handled with the grace, wisdom and innocence of this age group. This year, we're not accepting sci fi or fantasy, and likely won't read excerpts that are sent to us in these genres. If you're confused about whether your manuscript would be considered "fantasy" or "magical realism/contemporary with magical elements," feel free to Tweet us! Our list of comp titles, below, might also help clarify what we're looking for. We also have strong preferences when it comes to historical fiction: We’re not the right mentors for stories where the history or world-building plays a larger role than the character’s arc. We love historicals that focus on one small, character-driven story against the backdrop of larger events that really happened, without spending too much time or detail on those larger events. Basically, if you have the next THE WAR THAT SAVED MY LIFE, well—send it our way! If, on the other hand, you love writing historical because you get lost in the details of the period you're describing, and the period itself is as important as the character arc, we're probably not the right mentors for it. For us, emotions and character arcs are always going to be the biggest draw. A story about someone trying to immigrate to America across the Southern border (legally or illegally) or who has just recently done so. Think a modern-day ESPERANZA RISING meets FRONT DESK. If any of these could be a comp title…grabby hands! 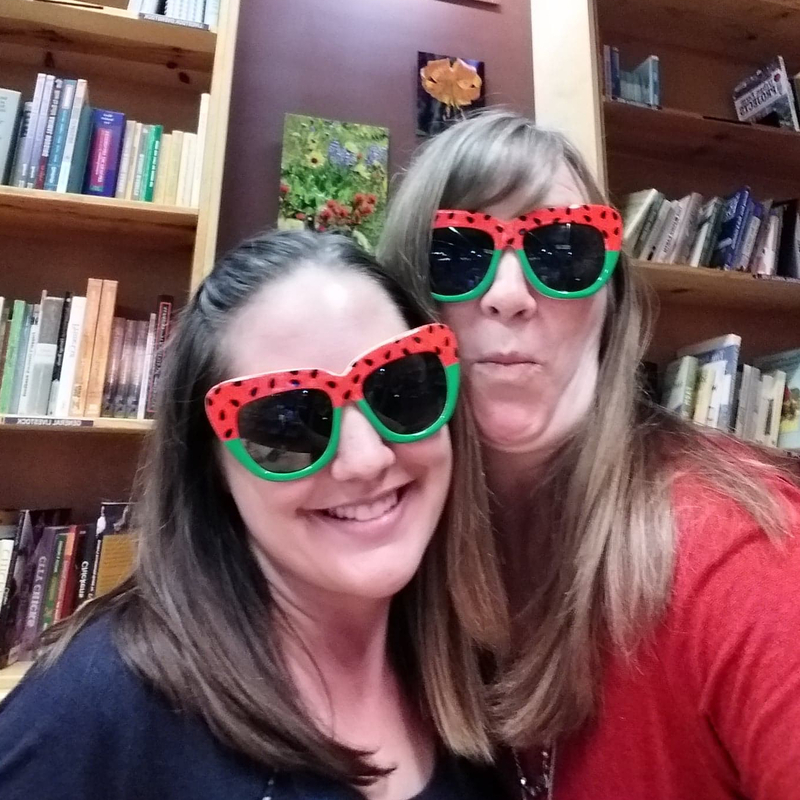 And, of course, reading Cindy's book, Where the Watermelons Grow, could give you a good idea of our tastes as well! You can also check out a few pages of Amanda’s book, The Three Rules of Everyday Magic, on Amazon. Between the two, you’ll get a pretty good idea about what we love in a voice. Our first year, we took on an “animal story"—Cory Leonardo’s The Simple Art of Flying, about a curmudgeonly parrot. And while we love, love, love her book, we’re going to continue to say the same thing we have said for the last two years. Animal stories are a hard sell for us. They have to be done very well, with a great voice, something unique (Cory’s had gorgeous poetry), and lots and lots of heart. Basically, you need to be able to compare it to FLORA AND ULYSSES and THE ONE AND ONLY IVAN. Cory did, and the comparison held up. We’re definitely NOT the mentors for animal stories that are more humor or adventure than heart. Historical fiction from earlier than the 1900s. Anything more plot-driven than character-driven. Anything that could be described with the word "adventure," especially combined with "fantasy." Unless your character's adventure is lived out largely in their own head (a la Bridge to Terabithia or Some Kind of Happiness—SEND US THOSE! ), we are just not the best mentors for that! Really, if your query contains words like epic, journey, battle, quest…you should probably not send it to us. What Will Really Draw Us In? Voice and beautiful writing are probably the number one thing that draws us to a manuscript—though a great hook doesn't hurt (last year, the fact that Remy Lai's story of two brothers secretly baking cakes together was utterly charming was the thing that made us look twice at her query). We can help you change everything else. But the voice reigns supreme. We can’t wait to read your work! Putting it out there is such an act of courage and vulnerability. We promise to treat your entry with the respect and love that creativity deserves. We feel so honored by every person who decides to share their story with us. We are excited to meet all of you and your characters. Check out the rest of the Pitch Wars MG mentors here!